MatatArt is a children’s art project, developed through a collaboration of artists and professionals from all over the world. We truly believe that a co-creation process is key to making a project that will successfully respond to the community’s needs and be sustainable in the long term. 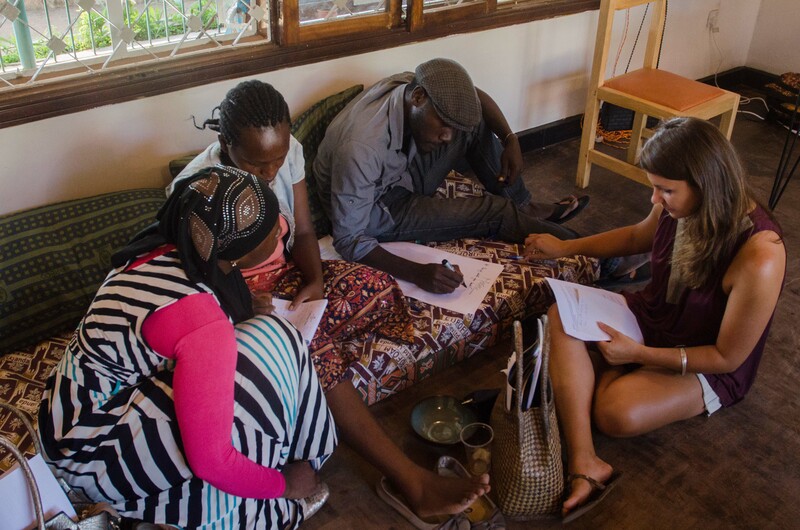 At the beginning we held a workshop with a team of artists and professionals in Kampala to share ideas and discuss our curricula, so that each session would be appropriate for 30 or 40 children aged from 5 to 12 years old. Everyone contributed innovative suggestions and together, we came up with the list of art-based activities that MatatArt will promote. This was a hugely important first step of a participatory process that will support MatatArt at every phase, from project creation to implementation. We would like to thank all the great people who have contributed to the project with their time, energy and expertise and have made it so unique. Since the beginning of the crowdfunding campaign, in addition to the generous and numerous donations, we have received many positive feedbacks that are enriching the project. If you would like to share your ideas and experience, there are many ways you can get involved with MatatArt… be smArt and contact us at info@matatart.org!